A unique & comprehensive examination of McDonagh’s entire dramatic output. Engaging study of the most produced living playwright in the world. Explains the complexity of the plays in a readable and accessible way while tackling some of the critics of McDonagh’s work. 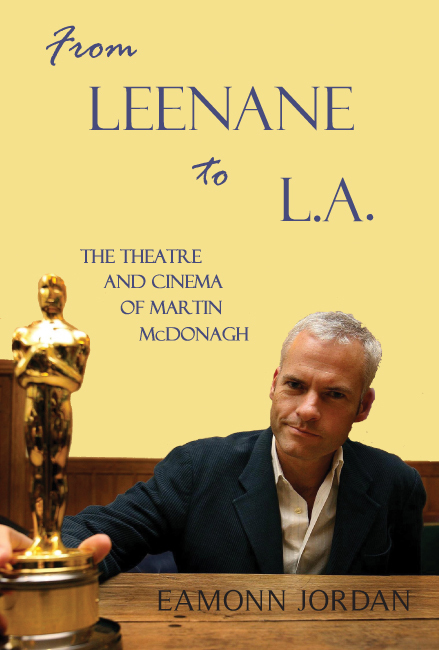 As playwright, screen-writer and film director, Martin McDonagh has amassed an exceptional body of work since the premiere of the controversial, hugely successful and career-altering The Beauty Queen of Leenane in 1996. This renowned work was followed by acclaimed and award-winning plays and films such as The Lieutenant of Inishmore and The Pillowman, Six Shooter, In Bruges and Seven Psychopaths. Eamonn Jordan’s exploration of McDonagh’s work responds to the challenges for audiences, theatre and film makers and critics alike, dealing with the staging of violence, dark comedy, the horrors of Grand-Guignol and the consequences of anarchic farce. This wide-ranging study also considers the broad spectrum of influences on McDonagh’s writing, his intricate dramaturgy and complex relationships between the plays and their theatrical and broader social contexts. By offering detailed analysis of landmark performances of McDonagh’s work across film and theatre, this book cogently and comprehensively articulates the elusive spirit and transgressive theatricality of one of the most notorious, unique and inspiring talents writing today. 1.3 – Haven’t We Been here Before? Eamonn Jordan is Lecturer in Drama Studies at the School of English, Drama and Film, University College Dublin. He has written extensively on Irish Theatre including The Feast of Famine: The Plays of Frank McGuinness. Most recently, he co-edited with Lilian Chambers The Theatre of Martin McDonagh: A World of Savage Stories. His book Dissident Dramaturgies: Contemporary Irish Theatre was published in 2010 by Irish Academic Press.